Many events throughout time are milestones in history yet anything but positive for Native American tribes. This video, “Always Remember,” developed by the Herbert Brothers, speaks to the roots of the strained relationship between the 1,000+ Native American tribes and the United States. 1823 – The law disregards tribal sovereignty. In Johnson v. Macintosh, the first in the infamous Marshall Trilogy, the Supreme Court ruled that Indian tribes could not convey land to private parties without the approval of the federal government. 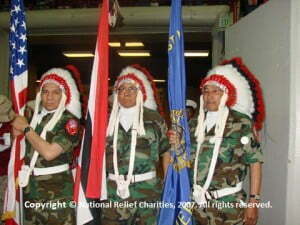 At the time, the federal government’s interpretation was that tribes were not set up as sovereign nations. 1824 – The BIA is born. Secretary of War John C. Calhoun created the BIA without authority of Congress and appointed Thomas L. McKenny as superintendent. 1830 – Indian lands are imperiled. The Indian Removal Act was passed and authorized President Andrew Jackson to negotiate with tribes to give up their land in the east for land in the west. These negotiations, which were not really negotiations at all, resulted in forced removal of tribes from east to west. 1831-1832 – The Marshall Trilogy takes more. In the second and third parts of the Marshall Trilogy (The Cherokee Nation v. State of Georgia, and Worcester v. Georgia), the Supreme Court ruled states cannot negotiate a treaty with the tribes – that tribes are sovereign and only the federal government can sign a treaty – and that state laws did not extend into Indian country because they were incompatible with the treaties, the Constitution and laws giving effect to the treaties. This gave the U.S. all the power needed to control the treaties and the tribes, and by the end of 1831, the Commissioner of Indian Affairs was placed under the department of the Secretary of War. 1831-1838 – Many trails of tears ensue. Individual states ignored legislation meant to protect the tribes from illegal maneuvering to usurp the land they occupied and had occupied for centuries before the arrival of the Europeans. And this occurred all over the United States as a result of the damaging precedents set by the Marshall lawsuits. 1926: The failure of U.S. Indian policy is clear. It has been studied, reported and long recognized that the current day poverty among Native Americans is a result of the foregoing laws and policies toward the tribes. But, it wasn’t until 1926 that Secretary of Interior Herman Work recognized U.S. Indian policy had been a failure and commissioned a study on Indian conditions and the effectiveness of the federal administration. 1928: Indian policy evaluation changes little. The Merriam Report (real title “The Problem of Indian Administration”) opens with this statement: “An overwhelming majority of the Indians are poor, even extremely poor. And, they are not adjusted to the economic and social system of the dominant white culture.” It took 857 pages to tell any person that the Indian policy was not working. The Merriam Report was the most comprehensive (and only) study to date about the effectiveness of U.S. Indian policy, yet the same issues affect tribes today. Issues like suicide and poverty are affecting over a million Native Americans at this very moment – a direct result of decades of failed policies and generations of mistreatment toward the tribes. All the while, tribes have continued to be good citizens, to proudly serve as Code Talkers and veterans, and to maintain the highest rate of military service of any ethnic group in the U.S. So, as we recognize this Veterans Day, and these points in history, we also urge you as the video does to remember does to remember Native Americans. It is important also to remember that the past, even the distant past, is directly linked to what is happening for the tribes today. 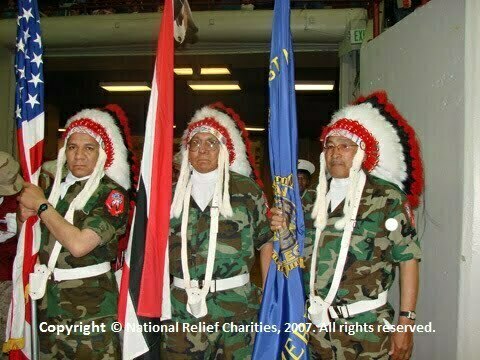 This entry was posted in Humanitarian and tagged Always Remember, American Indian, Bureau of Indian Affairs, Code Talkers, Herbert Brothers, Indian Removal Act, National Relief Charities, Native American, poverty, suicide, The Marshall Trilogy, The Merriam Report, Trail of Tears, tribal sovereignty, Veteran's Day. Bookmark the permalink. Trackbacks are closed, but you can post a comment. It is unforgivable, inexcusable and shameful the way the U.S. government has mistreated Native Americans for over 200 years. The actions that have been, time and time again, unconstitutional as well as morally and ethically wrong. This Veterans Day, and every day, remember how Native Americans and other minorities have repeatedly gone above and beyond in their duty to and service to this country. They deserve our respect and gratitude. Help in any way you can. I’m very proud of my heritage from my great grandmother who was from a tribe in Delaware, because I wouldn’t have a great background or been born. people should remember that they were the first here in this country and had respect for this country. These videos need to be shown in schools. It is unfathomable how the many departments and persons within this government continue to both ignore and/or persecute family and descendants of these Tribes, our original citizenry, and on their sacred land. Eighteen months of a torrid Presidential Campaign; I did not hear Native American affairs mentioned once. Now is the time to rewrite elementary-, midde-, high school text books and curriculum. My school years in the ’50s-60’s lacked education of the truth, and as an elementary school teacher, 40 years later, I was teaching the same things I had learned! As I educated myself, I passed on info to the fifth graders, in a neutral matter-of-fact way and never did they side with the governing forces. They were appalled. It went against all morals and values they had learned in their 10 years of upbringing. Info is so accessible nowadays; hopefully local units can once again determine the course, if core curriculum goes to the wayside.